It's nearly time for the much anticipated Rio Olympics! I know - we all wish we could be out there enjoying some lovely hot South American sunshine. Fear not! Here is a list of some great outside venues to watch the games in London. The London Bridge City Summer Festival runs from June to November and involves a plethora of activities. Live music, karaoke, theatre, dance groups and free outdoor cinema. A great hub for entertainment and whiling away the hours. 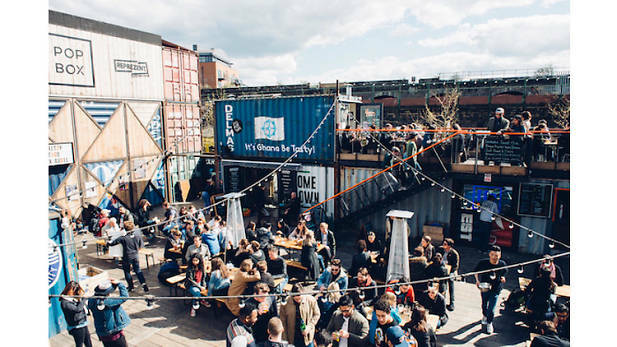 Pop Brixton is another fantastically vibrant location to watch sport over the Summer months. This eco friendly village hosts some excellent pop up food stalls as well as vintage nik nak shops. Towards the back the creators have built a large cinema area which plays sport all Summer long. And lastly we recommend Beach East in the old Olympic grounds at Stratford. Over 2,200 square metres of sand has been deposited on the site turning it into a lively beach with paddling pools, funfair rides and beach bars. What's not to love! Have a look at our Olympics Pinterest Page to style your own Games themed party! We are also here to help you create your own bespoke styled celebration, what ever it may be! Get in touch. We'd love to help.